The establishment of this huge infrastructure began under Emperor Claudius and was finally inaugurated by Emperor Nero in A.D. 64. Its main purpose was to ensure the safe loading and unloading of goods from the large cargo vessels arriving from across the Mediterranean, and the transshipment of commodities onto the smaller boats (naves caudicariae) that sailed up the river to Rome. The port basin was partially excavated inland and partially projected into the sea, with two large piers converging to the port entrance to the west. Here, on an artificial island, a lighthouse similar to the famous lighthouse in Alexandria guided the ships to the port entrance. Another entrance was probably located to the north, close to the airport, between the current building of the Museum of the Roman Ships and the airport facilities. The sea, the port of Claudius and the Tiber were interconnected through at least two canals (the fossae, according to an inscription dating back to A.D. 46) and the river-barges could then sail up the river to Rome. The foundations of the right (or northern) pier are still visible behind the Museum of the Roman Ships, stretching for about 1km to the west, while some inland ancillary buildings on the quay of the port can still be visited today: the Harbour Master’s Office (Capitaneria), a tank and some thermal buildings dating back to a later period (second century A.D.). The Claudian basin was too large and too much projected into the sea. Therefore, it soon proved to be unsafe, as it was subject to storms and silting. That led, probably between A.D.110 and 117., Emperor Trajan to have the whole port system restructured. The core of the new harbour was the 32ha hexagonal basin, that was built under Emperor Trajan (probably between A.D. 110 and 117), maybe based on the design by the famous architect Apollodorus of Damascus. This hexagonal basin could accommodate 200 large ships at the same time. A canal linked it to the Claudian port and to the Darsena; another canal, the Canale Trasverso, linked the harbour basin to the Tiber, and enabled the ships to sail up to Rome, Ostia and the mouth of the river. 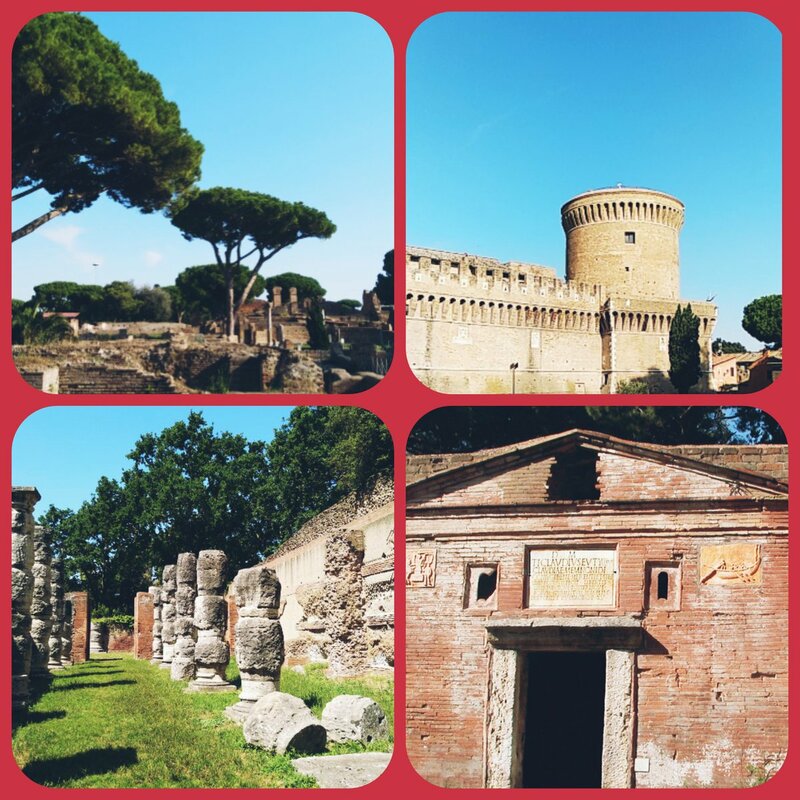 Two roads, Via Portuense and Via Flavia-Severina, ran parallel to the canals up to Rome and Ostia. A series of new big ancillary buildings were built in the surrounding area and along the canals: warehouses, thermae and a temple. In a central area located between the two port basins, Claudius’ and Trajan’s, the so-called Palazzo Imperiale and other associated administrative buildings were erected. In the same area, the Arsenali (probably the shipyards), have recently been discovered. The warehouses, horrea in Latin, are the main buildings at Portus. Together with the large warehouses of Testaccio in Rome, located behind the river port, they represent the largest service area of the city. The so-called Grandi Magazzini di Traiano, together with the later complex of Grandi Magazzini di Settimio Severo and the constant enlargement and restoration of these buildings make Portus a key research area in order to understand the construction and working of the storage facilities in Roman times, as they played a vital role for supplying and feeding the population.